It’s interesting to note that God doesn’t tell us that men can build up or tear down their homes. No, it’s women who have this type of power and unfortunately, many are tearing their homes down with their own hands thinking the grass is greener somewhere else but finding that it was all a lie. It’s vitally important that we build our homes up, women, not just for our sake but for our children’s and grandchildren’s sake. You want to pass blessings down to the next generation, not curses. Divorce is the number one cause of tearing homes down. It burns the home down to the ground and leaves everyone scarred for life. The best gift a mother can give her children is loving their daddy deeply and until death does she part. This will have the greatest long-term impact for good upon her children besides being a testimony to a watching world of the beauty of marriage as it exemplifies Christ and His Church. The Lord should absolutely be the One whom we serve and obey. 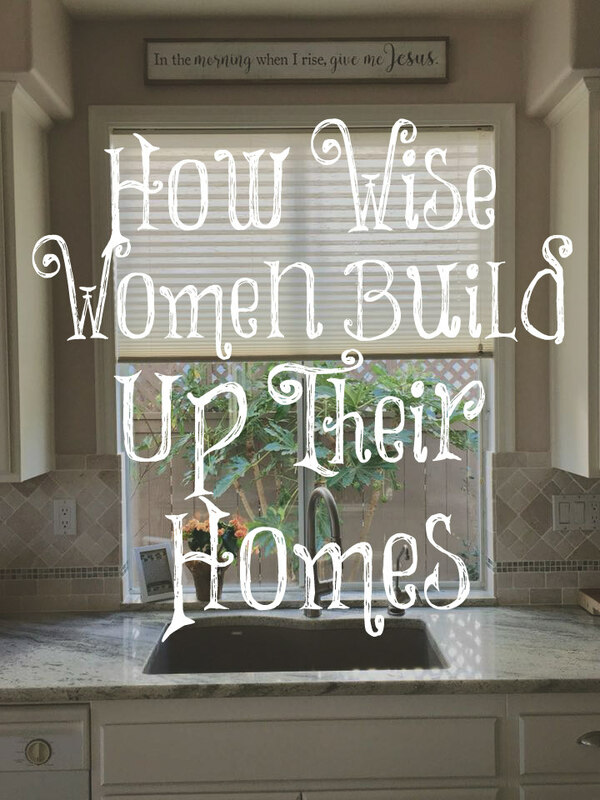 He commands that we love and serve our husbands, so by doing this, we are certainly building our homes up. This perfectly describes our job description and it is gloriously ordained by God. When women with soft and teachable hearts understand that they belong at home, they are so happy because they know it’s exactly where they are supposed to be. Also, laughter always add joy to a home and we should be known for our warmth and hospitality. We must daily pray for our husband and children and that the Lord would give us wisdom and grace needed for each day. I still and will always pray daily for my family. I ask the Lord to help them grow in the wisdom and the knowledge of the Lord and that they will hate what is evil and cleave to what is good. Then I pray that they are all hiding His Word deeply in their hearts. We have a God who hears our prayers and we are blessed! Our words build up or destroy, give life or death. Death and life are in the power of the tongue: and they that love it shall eat the fruit thereof (Proverbs 18:21). If you have a problem with your tongue, begin memorizing verses about the tongue and using it for good; for this is what transforms us! Let no corrupt communication proceed out of your mouth, but that which is good to the use of edifying, that it may minister grace unto the hearers (Ephesians 4:29). And never, ever speak evil about your husband to others. The only way we can have a joyful spirit and trust the Lord is to sit daily at His feet and learn from Him. He commands that we be choose to be joyful. Yes, it’s a choice and so is trusting the Lord. Serve the LORD with gladness: come before his presence with singing (Psalm 110:2). Sing praises often in your home. I sing to my grandchildren. He created and is in control of everything so we can trust Him. King Jesus reigns! Our husbands are head over us and we must not try to take the lead away from them through manipulation, whining, complaining, arguing, or correcting. Let them lead! Instead of trying to tell them how to lead, tell the Lord instead. Casting all your care upon him; for he careth for you (1 Peter 5:7). We must be willing to help our husbands wherever they have a need. We falsely believe that they were created to be our help meet but they weren’t. Yes, they were created to protect and provide for us, which are heavy burdens they must bear, but we were the ones specifically created to help them. Keeper at home means “stayers at home” (Are you a stayer at home?) and “guardians of the house.” We are to stand guard and protect the home from evil influences. This is our job and this is why we must be home full time. Everything runs more smoothly when a mother is at home and it gives children great security knowing their mother is available to them whenever they need her. Even neighborhoods are safer when mothers are at home. Yes, be present, not distracted by the computer, TV, or iPhone. Your children grow up so quickly and they need to know that they are more important than some inanimate object. They will grow up and be gone and then you’ll be left with your iPhone. Use your time wisely because it is fleeting. Along with not being angry, bitter, having false expectations, being prideful, and easily offended. All of these will quickly tear down your home. Our husbands can correct us and we should take it patiently without getting offended. When we get offended easily, we are saying that we are right and they are wrong. It’s a pride issue that we must let go of and take criticisms easily since we aren’t perfect and we want to be like Jesus. Our husbands see our faults! Accept their corrections so you can better build your home up. *The picture is from my newly painted kitchen! You’re so right, Christine. We need to continually be thinking of more ways to build up our homes since it’s easy to get lazy or forget it takes work. This is one of your most beautiful, thought-stirring, instructional posts ever. I’m filling a journal with advice for my daughter who will give birth soon (due the 22nd). I’ll be referring to these wonderful principles. Tell us all about the framed piece in your kitchen window (which is just gorgeous, by the way). Young women who come to our home want to know the stories about the items in our home. 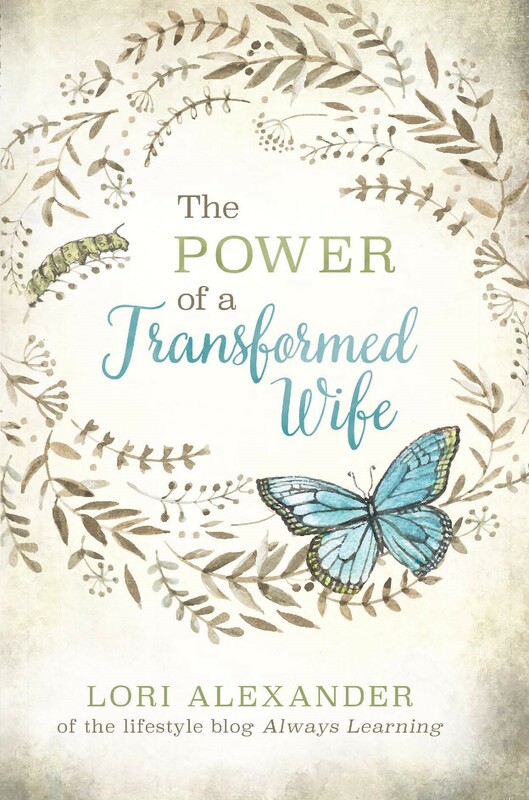 These stories are impacting and influence younger women to adorn their own homes with meaning and intentionality. Thank you, Kelley! Congratulations on your coming grandbaby! They are simply wonderful! There’s not a big story behind the picture. I had always heard how great Hobby Lobby is but it’s a bit of a drive from my home. I was out that way one day so I decided to stop by for the first time and found the picture over my sink. I love it because every time I see it, I want to sing the song that goes with it! I love to have Scripture and words about Jesus in my home. I want everyone who comes into my home to be able to easily see that He is who we worship! And the little frame at your sink? I just had a question about your kitchen. What paint color and brand did you use? I like the color. Thank you for your thorough explanation of what Proverbs 14:1 days. I have definitely noticed that my joyful was or lack thereof affects my husband. Thank you for teaching on this topic that is all but taboo in churches in the USA. Thankyou so much for sharing this. I write all the way from Papua New Guinea. This has Truly blessed me as God has restored my marriage and both my spouse and I are working together though we still deal with some issues, we both believe our testimonies are what our children will remember us by. Because of our Obedience to God in reverence of God, wives submit to God’s word thus to submit to our spouse and Love them no matter. God is God and from what is Broken can restore because only He can do what He Only can do. How do you build up your home when your family necessity is for you to work? These things are excellent, but would love to hear how best to build up your home when also working! Such a beautiful article. Totally enjoyed reading. Amen.I so needed to hear this.Thank you so much and May God bless you.I think you together with God saved me from not only self destruction but a destruction of my family and marridge included.Just because I battle to keep quiet.